A tour to play Chile and Uruguay three years ago helped Northern Ireland to shed their small-time mentality, reach Euro 2016, and earn this week’s two-leg World Cup play-off against Switzerland. The Guardian reports that a 10-day tour of South America before the 2014 World Cup has been understandably overlooked in the story of Northern Ireland’s extraordinary rise under Michael O’Neill. To those who stood by the manager at his lowest ebb, however, it was the trip that changed the team’s mindset entirely. 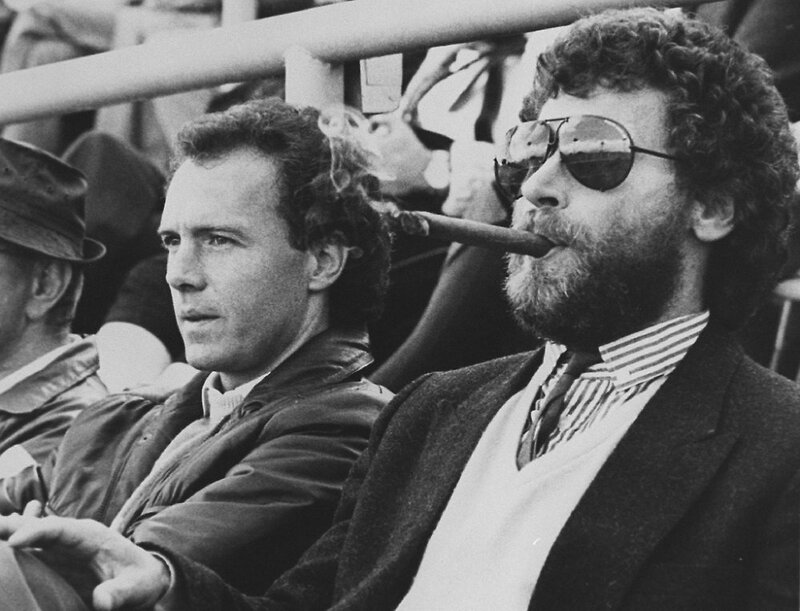 “In some respects, that trip was the beginning of the new Northern Ireland,” reflects Patrick Nelson, the chief executive of the Irish Football Association, before Thursday’s World Cup play-off first leg against Switzerland in Belfast. He is well-placed to judge. Nelson was part of the Northern Ireland contingent for friendly defeats by Uruguay in Montevideo and Chile in Valparaíso three years ago, when O’Neill’s team were invited to join the South Americans’ preparations for Brazil, despite finishing second from bottom of their qualifying group. Now, as one of the eight best runners-up in Europe, Northern Ireland are a play-off away from qualifying for consecutive tournaments for the first time in their history. The manager’s meticulous attention to detail, defensive prowess, a small but selfless core of players and a formidable record at a redeveloped Windsor Park are well-established factors in the transformation. Leaving behind a small-nation mentality in South America was another, according to the IFA’s chief executive. “In international football you are either part of the big tournaments or part of the warmup. We were the warmup for Uruguay and Chile,” Nelson says. “We looked at it, Michael looked at it and the players looked at it and we all thought: ‘Wouldn’t it be fantastic if someone was the warmup for us going into one of these tournaments?’ You could see the excitement around the buildup to a World Cup and we just wanted to be on the other side of it. 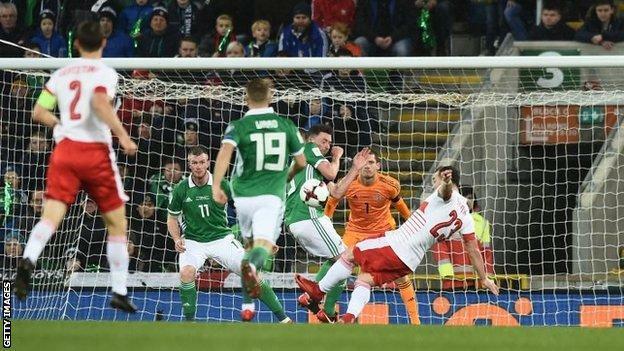 Northern Ireland now face an uphill struggle to reach a first World Cup since 1986 after losing to Switzerland in controversial circumstances in the first leg of their playoff at Windsor Park. Ricardo Rodriguez scored with a penalty just before the hour mark after Corry Evans was deemed to have handled inside the area. Though that decision was harsh as the ball clearly struck the defender’s shoulder, the visitors were dominant throughout and might have won by a greater margin had they converted a series of other chances. Switzerland are now favorites to reach a fourth consecutive World Cup when the two sides meet again in the second leg in Basel on Sunday. The result was a disappointment for Northern Ireland, who followed an impressive qualifying campaign with a below-par performance in their first major finals playoff. 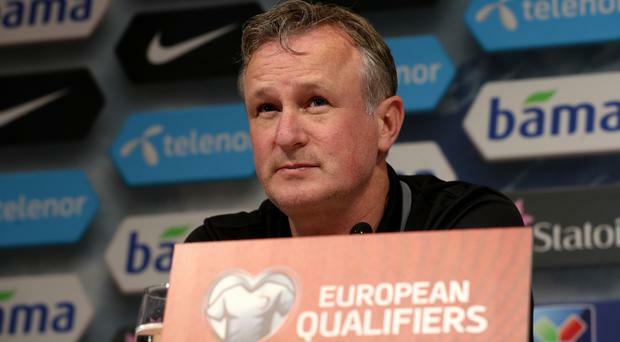 Michael O’Neill was understandably bemused by the decision to award a penalty. He told Sky Sports: “The referee has no-one in his line of sight. Corry’s arm isn’t in an unnatural position, it’s by his side. The ball hits him on the back more than anything. I thought the referee had blown for a foul or an offside. Nobody had claimed for it. “I’m staggered by the decision, staggered by the yellow card.